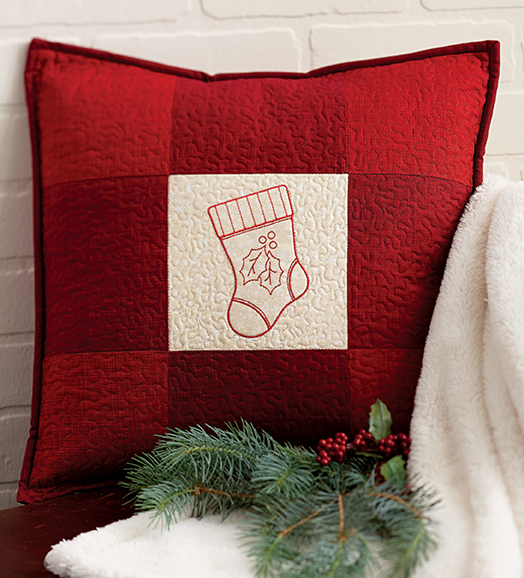 Please note: If you have previously purchased our Redwork Stocking design, you already own the design used for this pillow. Do not purchase again. You must have the winter 2014 issue of Quilting Celebrations magazine for the instructions to complete the pillow, as shown.